Coyotes are legendary in the Native American community. They are known as clever tricksters, symbolizing new beginnings as well as the ends of life’s natural cycles. In the case of property owners, they are simply known as dangerous pests. 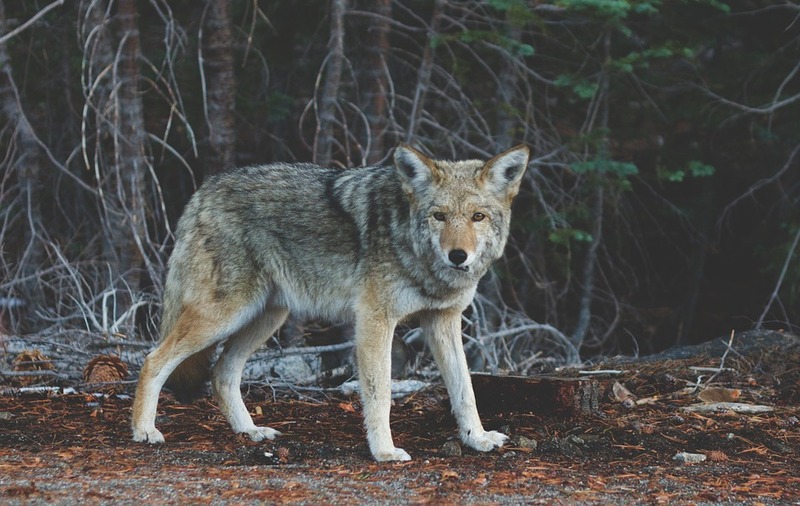 Coyotes prey on all shapes and sizes of animal, which includes house pets. Coyotes will tear up your yard, shed, and more in search of food. When faced with an invading coyote, be cautious but also deliberate about how you act. The only way to be rid of coyotes is to trap and relocate them. Please be careful, and make sure you have someone handle your issue quickly, before it escalates. Don’t fool around, call Buckeye Wildlife Solutions at (419)-982-5502! Coyotes are capable of doing all sorts of damage to your property. Furthermore, they are known to prey on pets and other wildlife nearby, making them very dangerous to approach. Invading coyotes will force you to be cautious as long as they are around. 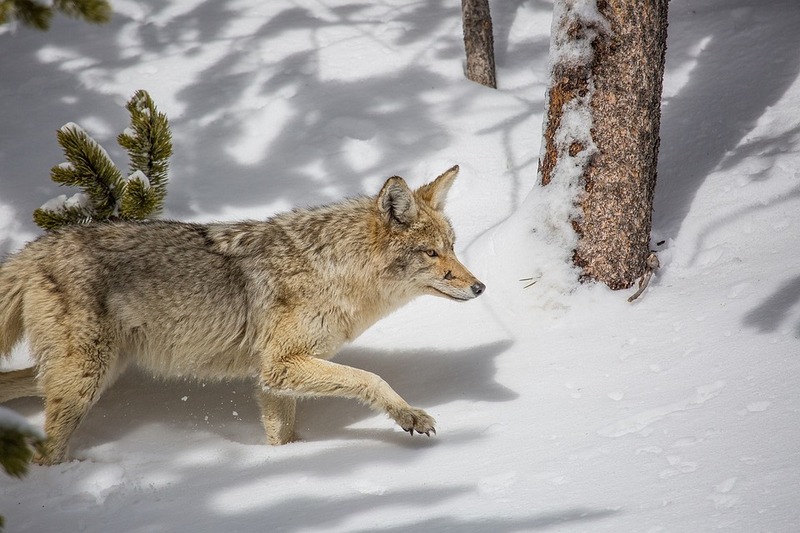 Trapping and removal is the only effective method for coyote exclusion. There are no useful repellents on the market, and you should never try to trap a coyote yourself. Our specialists carry tailored coyote traps which will be baited and set up to capture the animal(s). Removing Coyotes from the Area. 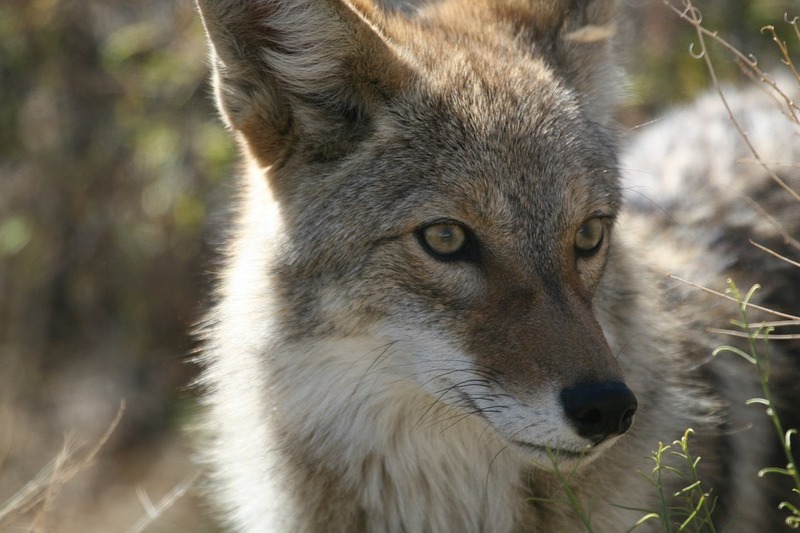 Coyotes are medium-sized mammals, about the size of an average dog. They range from 15-45 lbs. depending on the age and gender of the individual. 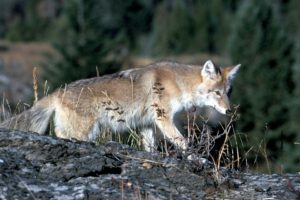 Coyotes are native to North America, where they are very widespread and great in numbers. 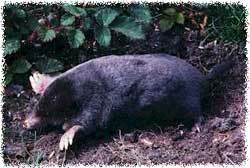 They are very adaptable, able to survive in landscapes which have been developed and altered by humans. As very capable hunters, they can run in groups or survive on their own. Coyotes are natural predators of several different species. They are primarily carnivores, and their diet usually consists of deer, sheep, rodents, birds, and more. The coyote’s howl is a famous phenomenon which has its superstitious roots in Native American lore. If a coyote is separated from its pack and wants to be reunited, members of the group will engage in vocalization. Howling is usually accompanied by an upward posture, making it seem as though coyotes at nighttime are howling at the moon. If there’s one pest you don’t want to mess around with, it’s the coyote. Call Buckeye Wildlife Solutions 844-544-9453 for quick, safe removal. Coyotes are famous for their howling as well as their predatory nature. They are thought to be cunning and, at times, malicious depending on the story and who you ask. Being that the coyote is a Native American species, the lore involving coyotes has its roots in Native American culture. Many tribes believe the coyote to be a trickster (and even a shape-shifter). Some, such as the Navajo, believe the coyote helped usher in new life, including the first man and woman. Others like the Shoshoni believe the coyote is the symbolization of endings, facilitating the cycles of life. One thing is for sure: the coyote is a polarizing figure – having a deified meaning in several cultures, which makes for some interesting stories!